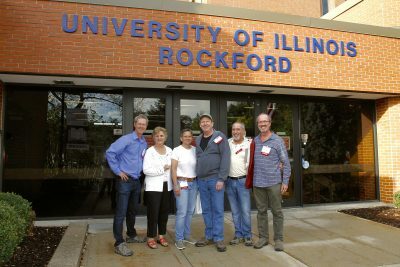 The University of Illinois College of Medicine Rockford has alumni living and working around the state of Illinois, the nation and the world. 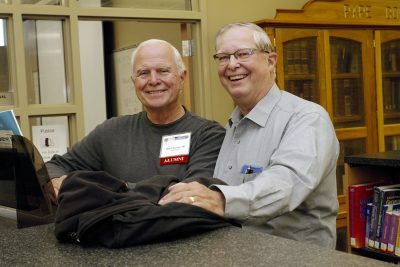 They come from the Doctor of Medicine Program, Master of Science in Medical Biotechnology Program, Family Medicine Residency Program and several fellowship programs and they all can trace pivotal career moments to their time in Rockford. 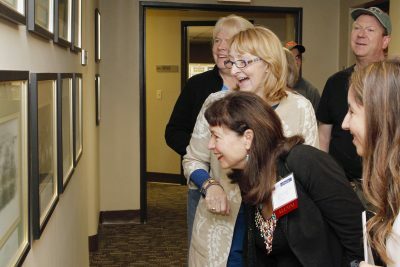 Connecting and re-connecting these College of Medicine Rockford alumni to the college, the campus, the community and each other is the goal of our Office of Communications and Engagement. Through volunteer opportunities, events, and communications such as this website, direct mail pieces, electronic newsletters and more, we want to keep you up-to-date involved and updated on what’s happening at your alma matter. We also want you to keep us up-to-date about YOU, so whenever you change addresses, jobs or have news to report, please update us through our online form.